Kagome gets drunk and conpesses her love for Inuyasha what will happen now. OK KIKYO LOVERS BEWARE CAUSE KIKYO IS THE VILLAN OF MY STORY !!!!! Inuyasha had always thought Kagome knew he loved her. But, when he finally nocitces that she doesn't know, what will he do? Inuyasha gets pricked by a porkylotous! 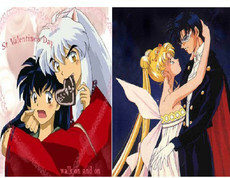 And his feelings for Kagome double! He finds himself confessing his love for Kagome! hi, you haven't talked to me in a while... it's ok I can take a hint, this is about kikyo isn't it?